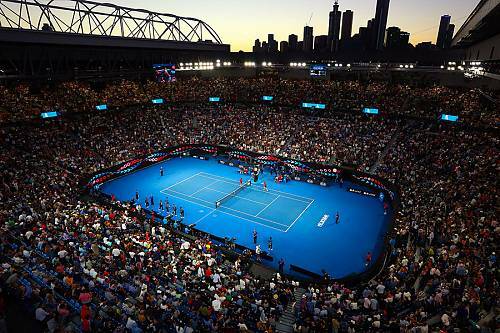 As an Australian Open Official Tour Operator, Down Under Endeavours is offering tickets to the 2020 Grand Slam tournament in Melbourne, Australia. Book your travel package now to secure the best seats and fan add-ons! 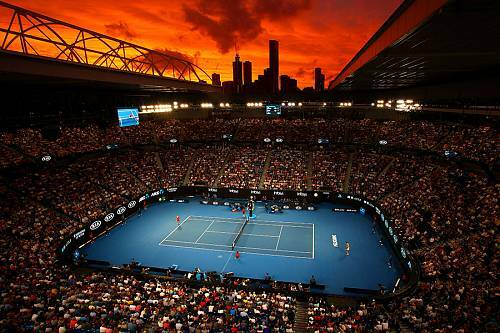 Give us a call at (888) 229-0082 or fill out an inquiry form to start planning your Australian Open vacation. Savor the thrills and excitement of seeing the world’s top tennis players compete for the champions’ trophies at the Australian Open 2020! Be amazed by the skill and stamina of the superstars of world tennis when they line up for the first Grand Slam of the year. This is one of only 4 tournaments each year that attract all of the world’s top male and female players. Australian Open Merchandise Pack: Merchandise pack of Australian Open branded products. Contents to be advised. Rod Laver Arena Fan Walk On: Ever wonder what it feels like to be on the other end of a Roger backhand, a Serena smash, a Rafa serve? Get closer than ever before! After weaving through the inner sanctums of the legendary Rod Laver Arena, you will have the opportunity to walk onto the hallowed blue court and witness the player warm-up from only feet away. With an official photo on court, this will be a memory you never forget! Atrium Bar Pass: Get exclusive access to The Atrium Bar, a corporate hospitality space to enjoy a drink and nibble before the tennis. 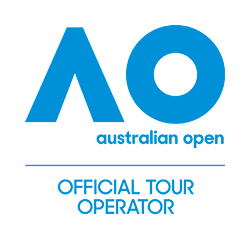 Australian Open 2020 Program: An event program is a perfect souvenir to bring home from the Australian Open! 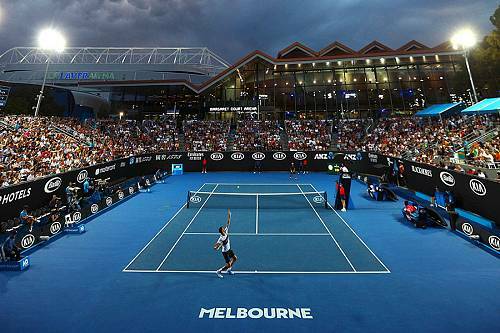 Read all about the 2019 Australian Open with essential information on the players and all things tennis. Exclusive Dining Options and Room Rentals: Get access to exclusive dining clubs to enjoy delicious food and drink before the tennis begins! If you have a large party, consider renting an elegant private room to relax and cool off in between the tennis action. Inquire for details. We’ve put together these sample itineraries to give you an idea of how to combine the world’s most exciting tennis event with other Australia bucket list items, like snorkeling in the Great Barrier Reef and meeting kangaroos in the wild. Remember, these trips are completely customizable. Our luxury travel designers will handcraft the perfect itinerary for you!